Our Virtual Accounting & Finance Teams are a cost effective, secure alternative to an in-house accountant. Why Use a Virtual Accounting & Finance Team? 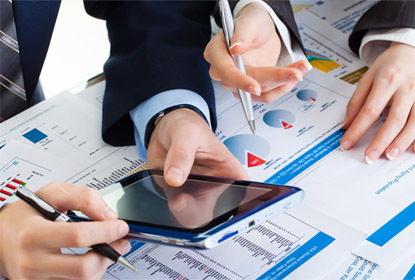 If you have been struggling to manage your in-house accounting department or you are not getting the accounting advice and support you need from your internal accountant to grow your business, then using an outsourced finance team such as the GECA Virtual Accounting & Finance Team can greatly benefit you and the business. And even better, a GECA Virtual Accounting & Finance Team solution can be up to 40% cheaper than an internal accountant – whilst delivering so much more. 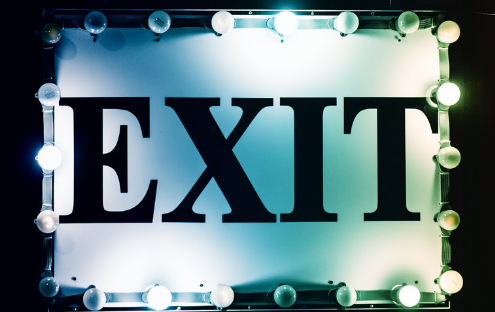 Businesses using a single person to cover the business finance function role are exposed to a number of risks, many of which can have a material impact on business operations, sometimes even jeopardising the business’s existence. Across the world, with increasing frequency, services that used to be handled in-house by most companies are being outsourced to specialty companies. Doing this frees up resources, both human and financial, and enables a business to focus on its core activities. 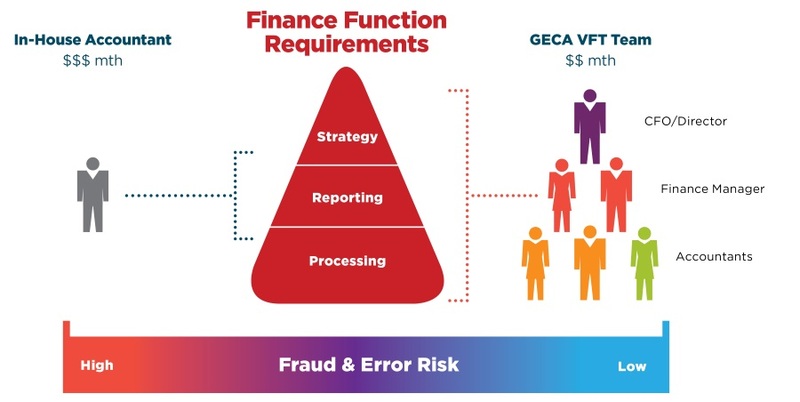 The GECA Virtual Accounting & Finance Team solution is charged as a fixed monthly fee, giving our clients transparency and certainty over annual finance function expense. And by leveraging technology, our Virtual Finance Team solutions can cost up to 40% less than an in-house person whilst providing a fuller range of services with reduced risk. management time and you can see why the VFT solution is proving so popular with our clients. Call today – Phone 0800 758 766. Fill out this form or call us now on 0800 758 766 to discuss this service. We worked with Giles to create an Organisational Structure to allow us to step back from the day to day business operations and focus on strategy and governance. This identified the need for a CEO and Giles was able to help with all aspects of the CEO recruitment process. His corporate skills and experience were instrumental in ensuring a successful outcome. Giles at GECA Chartered Accountants did a business plan workshop for me earlier this year. It was incredibly helpful and really helped me focus on what I wanted to achieve. Giles helped me see the steps I needed to take to get these goals. I strongly recommend using his services! We were unaware of the GST implications of renting through AirBnB and that this could impact out family home – Giles was able to provide timely advice that meant we avoided this issue which could have proved very costly to us. Thanks, Giles! Last year we began renting several properties through AirBnB. The GECA team provided helpful advice through out the setup process and we now have one of their PlusOne packages to take care of our accounting and taxation requirements. And they are a fun too – not often you can say that about accountants! During my Organisational Review by Giles Ellis at GECA Chartered Accountants we found it was great to understand the need for effective organisational structure to free up my time. I have found our meetings with Giles helpful to get an independent view of the business and re-emphasise the need for systems. I recently attended my annual complimentary meeting with Giles at GECA Chartered Accountants and I found it was good to compare what has been achieved from the prior year and this helps to refocus my attention on the bigger picture. Giles Ellis and the team at GECA Chartered Accountants helped to crystalise my thinking around short to medium goals, provide clarity around strategy and made me more aware of the Heath & Safety risks. GECA Chartered Accountants helped me understand the need for proper planning, understand the Health and Safety risk and gave me the opportunity to consider what we should be doing, implement corporate discipline. 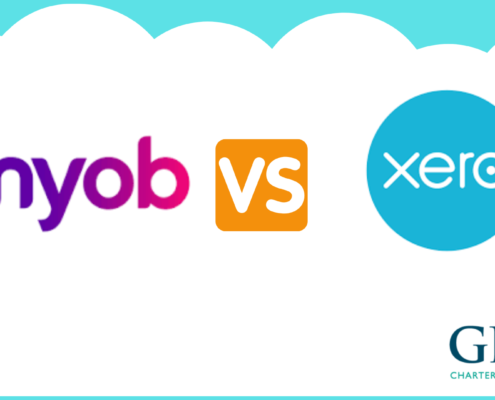 Xero vs MYOB - What works best for your business? 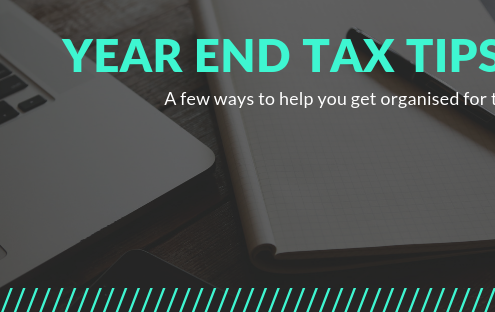 https://geca.co.nz/wp-content/uploads/2019/03/Xero-v-MYOB-3.png 1080 1920 Giles https://geca.co.nz/wp-content/uploads/2018/09/geca-chartered-accountants-newzealand.jpg Giles2019-03-01 12:15:402019-03-01 15:06:05Xero vs MYOB - What works best for your business? PlusOne Accounting Packages is a fixed fee accounting solution provided by GECA Chartered Accountants Limited, an innovative accounting firm based in Newmarket, Auckland. Call us now on 0800 758 766 for a free initial consultation and find out how a PlusOne Accounting Package can help you.